Known as one of Los Angeles’ most affluent neighborhoods and one of the most beautiful neighborhoods on the Westside of the city, Brentwood offers more than just elegant, luxurious homes. While the real estate certainly stands alone as a selling point, the restaurants, culture, and shopping in the area truly deliver the whole package to the buyer and make the neighborhood one of the most sought-after places to live in L.A. Along coral tree-lined San Vicente Boulevard, you’ll find downtown Brentwood, a charming and picturesque neighborhood featuring restaurants, shopping, fitness studios, grocery stores, and more making it an ideal spot to make your home. As you make a right onto the boulevard from Wilshire, you’ll drive through the first stretch of essential spots; the beautifully landscaped street is lined with a series of small yet delightful clusters of plazas on either side featuring everything from luxurious restaurants like Katsuya and Tavern (where President Obama has dined) to fitness-favorite SoulCycle, to inviting cafes and coffee shops like Coral Tree Café, Alfred Coffee, and Café Luxxe. This area also puts your everyday conveniences at an arms reach, with Whole Foods Market just beside Starbucks or across the street from The Coffee Bean, depending on where your loyalty lies, the Brentwood Branch Library just down the street, and a 24-hour pharmacy just steps away. Between this stretch of downtown and the Brentwood Country Mart sits the Brentwood Science Magnet School and the beautiful Brentwood Country Club, known for its gorgeous golf course. 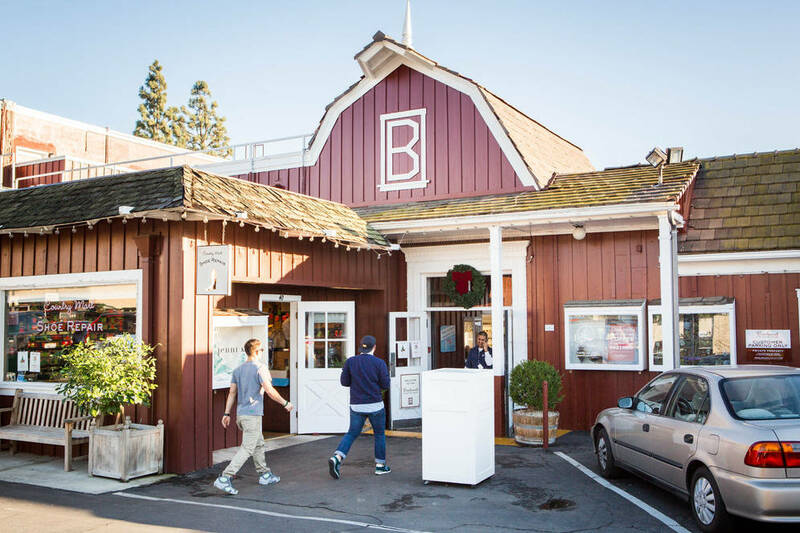 Opened in 1948, the Brentwood Country Mart is a local shopping center that maintains its original barn-inspired design and hasn’t lost any of its charm. The Mart offers more than twenty shops and several dining options, with everything from popular chains like Free People to more upscale designers like Christian Louboutin and James Perse. Just in front of the Mart there are several fitness studios offering yoga and barre classes, as well as more shopping options. After your workout, be sure to treat yourself Sweet Rose Creamery, an adorable ice cream shop that serves up fresh, hand-crafted small batches of some of the most delicious ice cream in the city. The Mart is a historic hub unique to Brentwood that you simply can’t find elsewhere. This quaint yet humming area could be just walking distance from your home, putting everything you need right at your fingertips. A short drive to the north of San Vicente Boulevard yet still in Brentwood, you’ll find the Getty Center, an absolutely wonderful cultural, architectural and botanical vision housing world-renowned art collections and exquisite gardens. Enjoy a picnic or lounge on the lawn overlooking the gardens and the city before or after touring the museum’s collection. 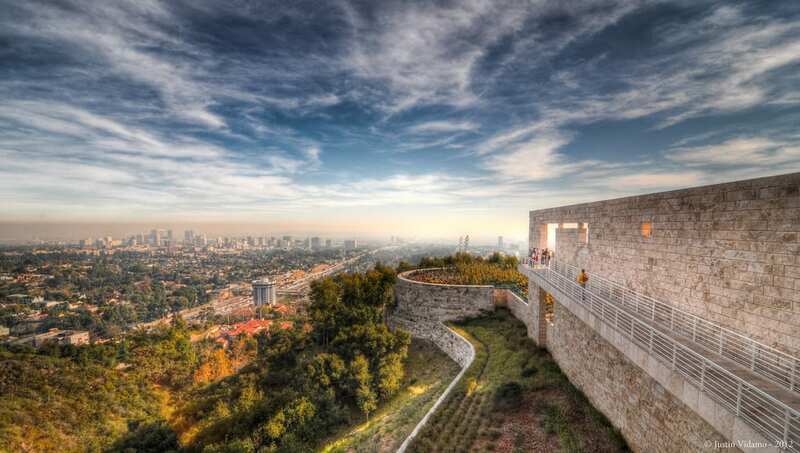 Just north of the Getty is the Skirball Cultural Center, an educational institution with a permanent collection dedicated to Jewish art and history and incredible temporary exhibitions ranging from photography to architecture to American history. The museum is extremely family friendly, offering exhibits appealing to all ages, and with the in-house café serving gourmet food, you can make your visit an all day affair. Looking to make Brentwood your home? Check out Mary Lu’s recent listings, or contact her office for more information. Mary Lu Tuthill is the premier real estate agent in Brentwood and has helped hundreds of buyers find their dream home in Brentwood and beyond, resulting in over $1 Billion of closed residential real estate transactions in the last 20 years.